Built to cater for a wide variety of different needs and for many of the typical applications in the agricultural world, the Laser is an extremely versatile tractor conceived for maximum productivity that can tackle even the toughest job. Boasting innovative design, an ideal power to weight ratio, perfect weight distribution and superior technological features, the Laser delivers outstanding efficiency in all situations. But that’s not all: Styled with character, the Laser also impresses in terms of comfort tailored to make the driver’s job easier. Ideal for the medium sized farm, both the cab and platform variants of the Laser are extraordinarily manoeuvrable, which contributes to maximising productivity and minimising operating costs. Powered by 4 or 6 cylinder SAME Tier II turbocharged or naturally aspirated engines with a range of power outputs from 96 to 156 HP, all configurations of the Laser deliver outstanding performance matched with respect for the environment. An exclusive injection system with one pump per cylinder ensures instantaneous injection times and very high injection pressures. All engines are also equipped with hydraulic tappets, allowing optimised injection timing in cold engine conditions for maximum productivity right from the start of the working day. But that's not all. The Laser also features an electronic engine governor, which optimises consumption in relation to draft and load. Available in a choice of different configurations to offer the versatility needed for ploughing and transport applications, and for the many other jobs that for Laser takes easily in its stride, the transmission offers from 15 15 speeds up to 20 20 speeds (or 24 12 with supercreeper and underdrive gear), to transform the power of the engine more effectively into real productivity. The Laser also has a transmission-synchronised power shuttle and a hydrostatically operated dry plate clutch, and can reach a top speed of 40 Km/h. 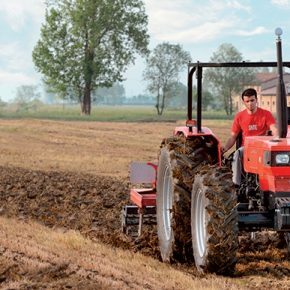 The open-centre hydraulic system of the Laser is just as powerful as the tractor, and is equipped with a 58 or 68 l/min pump to ensure the fluid delivery and responsiveness necessary for working with implements with a large working surface area. 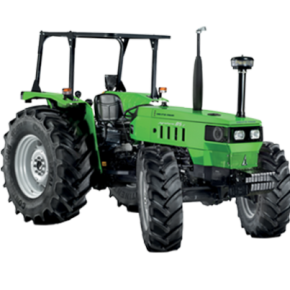 The system's 4 and 6 way hydraulic distributors also contribute to optimise the performance of this tractor. Lastly, the sturdy construction of the Laser means that it can be equipped with a rear lift with a load capacity from 3,800 to 7,000 Kg, for even greater efficiency in the field. 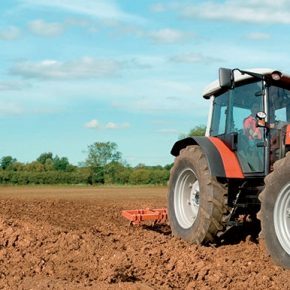 While mechanically, the Laser is an extremely reliable tractor built to minimise consumption and maximise productivity, it also delivers superlative levels of comfort. 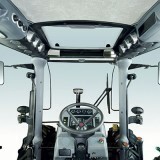 The roomy cab is suspended on silent-blocks and offers excellent visibility all-round – even through the roof. 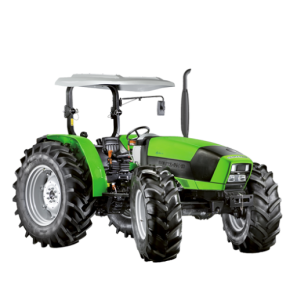 Facilitated access, self-cleaning steps, ergonomic controls and an ignition switch located conveniently on the instrument panel also contribute to making this an easy to use tractor ideal for everyday usage and long working hours.